Remanufactured GM Chevy 5.7 350 Short Block 1986 Model. This MABBCO Remanufactured Short Block is for a GM Chevy 5.7 350 motor, 1986 model. This block is identifiable by it's 1pc rear main seal, 2-bolt main, mechanical fuel pump hole, and is intended for carbureted applications. MABBCO short blocks include NEW pistons, piston rings, rod bearings, main bearings, cam bearings, timing set, and freeze plugs. Engines are what we do, and all we do, and we have been doing it since 1964. We can process credit cards through our merchant account at the shop. Motors can also be picked up locally at the shop. Any limitation contained herein does not apply where prohibited by law. MABBCO Enterprises is an Engine & Cylinder Head Rebuilding business located in East Texas. We supply engines, crankshafts, cylinder heads, and engine rebuild kits to part stores, jobbers, and wholesalers from coast-to-coast and have an inventory spanning close to 50 years. 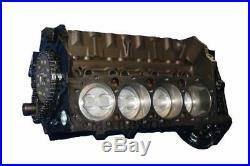 The item "Remanufactured GM Chevy 5.7 350 Short Block 1986 Model" is in sale since Saturday, September 17, 2011. This item is in the category "eBay Motors\Parts & Accessories\Car & Truck Parts\Engines & Components\Complete Engines". 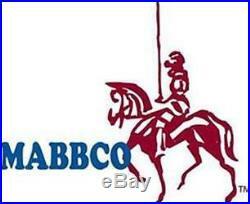 The seller is "mabbcoenterprises" and is located in Tyler, Texas. This item can be shipped to United States.